Terry Draper is CEO and Executive Director of Horseback Miracles, Inc. (HBM) and co-author of HBM’s instructional manual “One Quarter Horse, Three Quarters Heart”, and recently published “Horseback Miracles Training Certification Manual”. He has acted in this capacity full-time since the program’s inception in 2000. He has 50 years of professional experience in the horse industry, including training horses, training participants for competitions, and providing lessons. 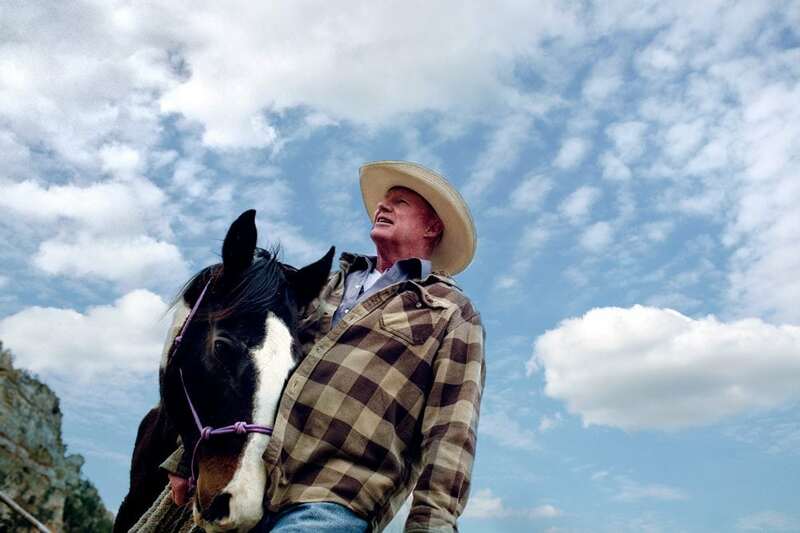 Raised in a rural area, he began training horses and giving riding lessons at age 14 and then attended Kansas State University, where he received a Bachelor of Science degree in Mechanical Engineering. As a “walk-on” 1st year Division 1A football player, he surpassed KSU’s Athletic Department’s expectations and achieved a Three-Year Letterman’s status. His engineering degree, in combination with his years of playing football, taught him how to recognize and assess a situation, design a plan, and hold to the philosophy of “never giving up”. Because of his determination, the HBM Program has grown from one man’s compassion and commitment for making a difference in the lives of others, into an expanded program that treats individuals from all over the world that demonstrate mental illness and/or neurological disorders. Draper Sensory Method is an innovative and a worldwide unique methodology based on scientific principles of the brain-body connection and a well-defined series of equine mounted activities. It supports and enhances HBM participants’ abilities to think more rationally, make more socially acceptable decisions and receive hope for a successful and better life. After 27 years of experience and development The Draper Sensory Method: uses a systems approach, predicated on principles that enable each participant to focus on individual needs – to recognize barriers in thinking and replace them with more appropriate methods. Each equine achievement plateau activity creates core muscle and rhythmic movement simultaneously within three body planes, relieving the participant’s stress level and developing opportunities for balancing participant’s neuro-chemicals that allow a more flexible and resilient brain. Balancing neuro-chemicals creates a calming effect, self-confidence, rational thinking, and feelings of creativity for our participants. All of these are necessary ingredients for the participants to focus, remember and reason in order to change their belief system – a necessary step toward a participant’s recovery. The skillful use of metaphors within the process permits the HBM staff and client to translate this human/equine partnership into human interactions. Moving the participants’ issues into the world of horses helps the participants see their behaviors from a different perspective. They are then able to focus on the results of their choices, without the onus of one more adult telling them what they should or shouldn’t do. HBM has completed nearly 6,000 individualized sessions with our scientific and evidence-based program methodology. Our methodology and systems approach has been developed through combining the following disciplines: Kinesiology, Neurophysiology, Sensory Integration Theory, Behavioral Psychology, Social Developmental Theory, Cognitive Development Theory, Relational Cultural Theory, Behavioral Research Methodology, Training and Organizational Development. These are all critical in supporting the equine-mounted activities. HBM’s interactive and holistic approach draws out the potential locked in the participant’s brain by learning how to receive information and express themselves simultaneously. Improvements in learning and behavior are immediate and profound. With these behavioral, psychological, and evidence-based intervention principles, HBM’s program’s purpose is to enhance the youth’s competency strategies. Competency strategies are how our participants acquire knowledge and life values. Competency strategies are directly related to their relationships, as well as their living, learning, and working environments through establishing a normal integrated brain activity. The program activities provide the basis for our participants to be in a “ready to learn” mode, allowing them to work through stages of behavioral change, to increase and maintain positive interactions with others and simultaneously help them to see how their own thinking and choices affect and perpetuate negative behaviors. The young participants progress through these stages by learning and exhibiting self-control, positive decision-making choices and relationship-building skills. HBM anticipates that, at completion of the program, the participants will be learning to replace antisocial behaviors with pro-social competency skills.